“It’s easy to react to each day’s news and events (personal and public) with raw emotion, adding to waves of anger, grief, and even calls for retribution well before the facts are in. “If we mean to cultivate nonviolence and peace, we need to practice another way, says author Parker Palmer. Instead of responding with corrosive cynicism or irrelevant idealism, Palmer says we need to stand in the ‘tragic gap’ between these two poles. 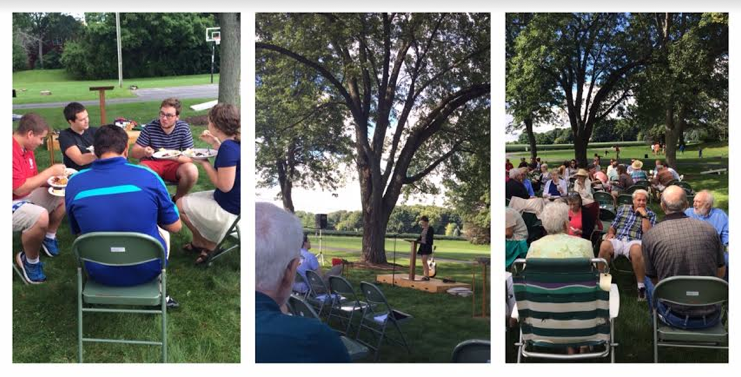 Yesterday’s annual lawn service at Kern Road brought to mind the way congregational members stand in the gap for each other as evidenced by their willingness to participate in community. Andrew shared about his grandfather’s influence in his life, about how his grandfather led nightly devotionals when Andrew visited as a boy, about how his grandfather’s praying the Lord’s Prayer to conclude his meditation left a strong impression that survives for Andrew to this day. Cathy talked about family transitions as job changes are under way, children return to school, the oldest plans a wedding, and mom starts a seminary course. “I need help,” she said as she spoke of ways she looks to God and the community for assistance. Mo said he has seen God at work in his life as he chose a marriage partner, as he experienced a keen sense of knowing when it was time to move on while making job changes over the years, as he shared his faith with others during his lifetime. Being willing to become vulnerable to the community by telling our stories is one way to stand in the gap for each other, helping to fend off both “corrosive cynicism” and “irrelevant idealism” on the personal front, perhaps even the public front. 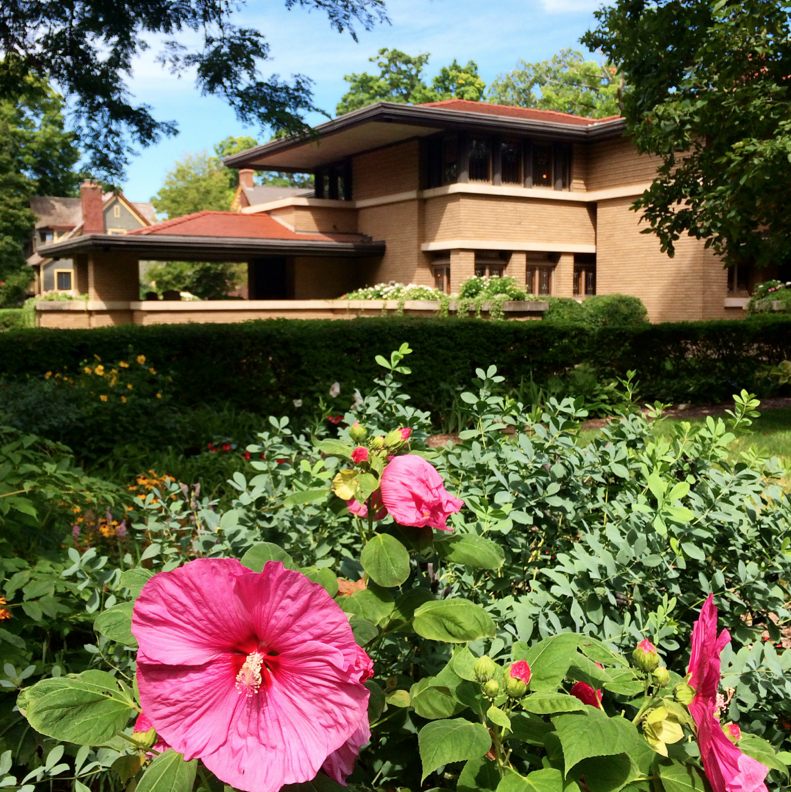 This last week I experienced two rather far-fetched versions of standing in the gap as my meanderings took me to the movie entitled Florence Foster Jenkins (see one review here for an introduction to the story line), as well as the Frank Lloyd Wright house in Grand Rapids built for Meyer May in 1908-09. A retelling of a very strange true story, the film illustrates the great lengths to which Florence’s husband and her piano accompanist were willing to go in the interest of letting her dream big dreams and eventually enabling her to bring those dreams to fruition, in spite of the ridicule of many. Not the kind of standing in the gap most of us are likely to experience, but nonetheless, an odd example of the measures some folks are willing to take for the other. 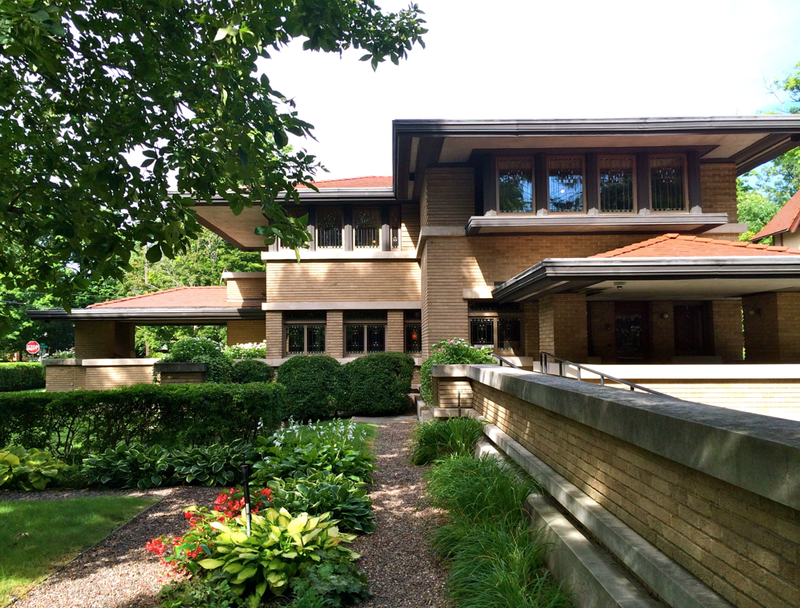 According to the Meyer May house website, “After months of interviews and intensive study of reference materials, work began to restore the interior and exterior to its original design. The restoration took two years. The work included removal of a 1922 addition, rebuilding the roof to restore its cantilevered design, replacing all the plaster ceilings, restoring a Niedecken mural under six layers of paint, cleaning and repairing more than 100 art glass windows and skylights, completely recreating the interior with original pieces and exacting reproductions, and recreating the landscape to its 1909 design." To be sure, this was no small project! What is your unique, personal way of standing in the gap for yourself, for others? How have others stood in the gap for you? What challenges do you face that may require a new way of standing in the gap for yourself or others? As a gap-stander, how do you help hold the tension between reality and possibility as referenced by Parker Palmer, either in personal or public settings?